The GROVELAND TRAIL HEADS mountain bicycling club, a non-profit educational association whosemission is to create, enhance and preserve great trail experiences has been partnering with the Stanislaus National Forest, Groveland Ranger District to develop public use, mountain biking specific trail systems in Groveland, CA. We aim to improve the lives of everyone in our regional communities through a collaborative approach to the conscientious development of trail recreation. We are a mountain bike club who is working toward advocating for the diversification and accessibility of trail recreation for all user groups. Our long term goals include: improving the strength of our communities through stewardship and volunteerism, providing access to outdoor recreation to area youth, creating a multi-use and designated-use regional trail system that satisfies the needs of all user groups and ability levels. Ride bikes? Like to hike? Ride Horses? Let’s work together! Contact us to explore collaborative opportunities for the development of trails on our public lands that are inclusive of all non-motorized users and are ecologically sound, intelligently designed, and F-U-N.
Ryan Bynres (AKA Kickstand) is a founding member of GTH. Ryan got his start in Groveland, CA as a biological field technician for the US Forest Service, Groveland Ranger Station working with great grey owls. 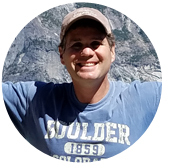 After eight seasons in the Sierra, he now works as a Wildlife Biologist and Assistant Project Manager for Swaim Biological Inc. Ryan serves on the GTH board as an environmental compliance specialist and general secretary and record keeper. Quick to a joke, and always ready with board meeting mimosas, Ryan, like all of our board members, enjoys working with our Groveland community to further our recreation potential. What Ryan lacks in mountain biking ability, he makes up in good looks (see photo).